Estimated reading time: 6 minutes, 31 seconds. For all of the different types of hair extensions discussed below, you will usually have the choice of either real or prosthetic hair. Looking into the benefits of each is an entirely different article in itself, so we won’t go into too much depth here! However, at Hairs & Graces we pride ourselves on providing exclusively 100% real hair extensions. That way, regardless of which style you go for, we believe you benefit from a far better look, as well as extensions that will last far longer. We adore the more realistic look that real hair extensions provide, as well as the greater ability to style and colour your hair afterwards. Now, let’s dig into the first type of hair extension available. Tape-in hair extensions are some of the popular varieties around. They are best applied by a professional as this allows you to access the highest quality feel and finish. The extensions are already taped together and are then either glued or taped onto your hair. The hairdresser would need to use a special heating tool that allows them to heat the glue. They are then carefully aligned with the roots of your hair and, as the glue cools and hardens, they are firmly attached in place. 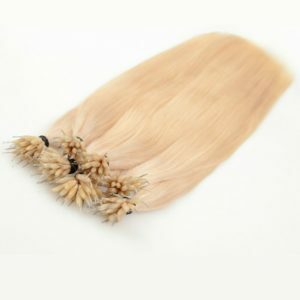 It is possible to remove and renew tape hair extensions. Once again, the hairdresser would need to use a special heating tool to carefully detach any old and used extensions so that new ones can be properly refitted. All in all, the process of applying or removing the hair extensions can take about 1 hour. Once they are in, your hairdresser will advise you to to be very careful when washing your hair and using conditioner. As in some cases, this can lead to the extensions becoming loose and eventually slipping off. But don’t worry, special shampoo and conditioner can be used to prevent this. 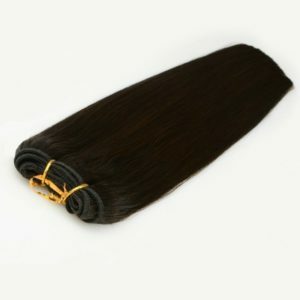 If you have thick hair, then having weave hair extensions put in good be a great option for you. The hairdresser first needs to braid your existing hair into cornrows. These cornrows are then the base to which your hair extensions are applied. 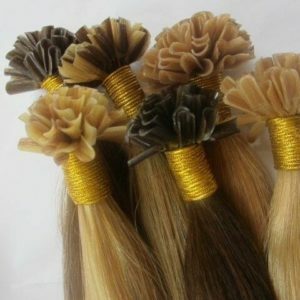 Using a needle and thread, the hairdresser will then carefully go through and attach each hair extension one by one. The extensions are sewn into and attached to the cornrows and these last for 2 to 3 months before the hair starts to become matted or tangled. As you might imagine, installing weave hair extensions is quite a specialist task and one that you cannot do by yourself. It can take between 2 to 3 hours depending on how many you are having put in. Once finished, you will be given instructions on how to best care for your hair, such as by moisturising your scalp and using deep-acting conditioner. Due to the nature of how wave hair extensions work, they are not usually suitable for those who have thinner hair. 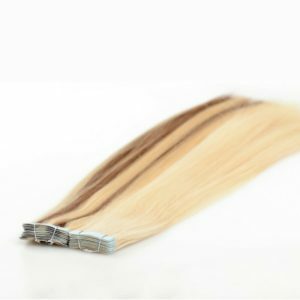 Fusion hair extensions work by attaching hair extensions directly onto your existing hair using some form of adhesive. As you’d imagine, this also requires the skills of a fully trained and experienced hairdresser. To attach the extensions, they will need a specialist sort of glue gun. Alternatively, they might need to use a heat clamp. Fusion hair extensions are considered semi-permanent and they typically remain attached for any time up to 4 months. In that time, you may need to revisit your hairdresser to have them adjusted in line with your regular hair growth. Washing and drying your hair extensions can be done in the same way that you’d normally treat your hair. 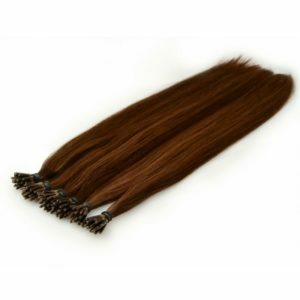 Micro ring hair extensions are a great alternative to using glue or other adhesive substances. They work by threading a small ring around your existing hair and the extension and then clamping them down with small pliers. This holds the hair in place and stops it from moving, without the need of any other substances. Removing micro ring hair extensions is fairly straightforward and requires someone to use pliers and squeeze the micro ring back in the opposite direction to which it was clamped. The hair extensions can then be pulled free. And don’t worry, the ring used is also colour-matched with your hair colour so they cannot be seen. Nano ring hair extensions are one of the newest forms of hair extensions currently available, and have already proved massively popular. They work in much the same way to micro ring hair extensions, but with one key difference. They are even smaller! Up to 90% smaller in fact. Meaning that, after being attached to your hair, they are virtually undetectable. They are popular amongst women with finer hair and tend to work much better for them than micro ring hair extensions. Once again, a trained hairdresser will be required to fit them using special pliers to clamp the ring down around your existing hair. Nail tip hair extensions are another incredibly popular type of hair extensions that have been widely used now for a number of years. The “nail tip” is a reference to the end piece of keratin glue that holds the strands of hair together and looks like a fingernail. To fit nail tip hair extensions, your hairdresser will melt the keratin glue and wrap it around pieces of your natural hair. To have the bonds removed, it is usually best that you go back to your hairdresser so they can break the bonds using a specialist removal substance. Nail tip hair extensions are expected to last for between 3 to 4 months. However, they can last up to 6 months if you look after them properly and use a good quality brand. With so many different types of hair extensions to choose from, you really do have the freedom to make up your mind as to which one is best for you. This means considering things like your budget and how long you want them to last. To help you make your decision, take a look through our site as we offer all of the above types of hair extensions. They all come made from 100% real hair, meaning they are built to last and look fantastic! You can choose from a range of colours and styles and we source only the highest quality extensions available. If you’d like help finding the perfect type of hair extension for you, please do get in contact with our friendly team today.